Amb.N Parthasarathi is a veteran diplomat with more than three decades of service in the Indian Foreign service. From September 2005 to September 2008, he served as Ambassador of India to the Republic of South Korea and from October 2008 to September 2011, he served as Ambassador of India to Senegal. During that time he was also concurrently accredited as Ambassador of India to Mali, Mauritania, Guinea Bissau and Cape Verde Islands, as well as High Commissioner of India to the Republic of The Gambia. He was also the Consul General of India in San Francisco from October 2011 till October 2014. He retired from the Foreign Service at the end of October 2014 and has moved back to Bangalore, his home town. Till recently he served as the Secretary General / CEO of the Federation of Karnataka Chambers of Commerce & Industry, Bengaluru. Currently, he is busy with mentoring many start-ups and advising organizations/Universities on many issues of business interest. He writes regularly on International relations in Indian print media and participates in discussions on TV channels. An ardent admirer of South Korea, he has keen interest in Korean history and published a novel “A legend of Ayodhya Princess in Korea”. The book was also published in Korean language as “Silk Empress”. He has lectured at many universities and think tanks and other institutions in Korea on varied subjects including on ‘Cooperative Partnership’ between the two countries. During his tenure as Ambassador, the India-Korea Comprehensive Economic Partnership Agreement was finalized and the bilateral economic and commercial cooperation entered into a fast track. For more than three decades, he has been involved with efforts to promote the interests of India’s Commerce and industry. He has consistently interacted with nodal organizations such as FICCI, CII and various other institutions in India and Industry/Trade, Think Tanks, Academia and Government in various countries around the Globe. He has been a Panelist at Stanford Economic Summit, given talks at Berkeley and many other prestigious institutions. He strongly believes in improving the standards of education and promotes innovation and leadership using new techniques. Mr. Parthasarathi brings with him a rich experience, stature, Integrity and Leadership. His engineering and Management background helps him to understand the industry/ economy and commerce comfortably and his diplomatic skills in articulation and negotiation makes him a natural and able administrator. He has also served as the Head of the Administration Division of the Ministry of External affairs. His passion, commitment to work and hands on approach brings a new dynamism and easily inspires the team that works with him. He has in-depth knowledge, is resourceful and has wide ranging experience. He has also organized a number of cultural events over the last three decades to promote the cultural heritage and traditions of India. At the same time, has helped in promoting the culture and traditions of the host country. Mr. Parthasarathi was born and brought up in Karnataka and Kannada is his mother tongue. He is also comfortable in English, Hindi, French and a few other languages. 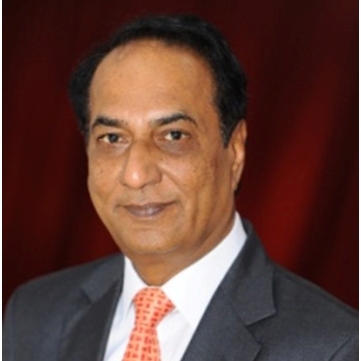 Mr. Parthasarathi graduated as a Mechanical Engineer in 1974 from Mysore University and served as an Executive Engineer with a major PSU in Bangalore till 1980. During this period, he also earned an MBA degree (International Marketing) and a Post Graduate Diploma (Industrial Management) from Bangalore University in India. Mr. Parthasarathi joined the Indian Foreign Service in 1981 and has served as a diplomat in countries throughout the world including in Pakistan, Belgium and United Kingdom. He was the Head of the Gulf Division in the Ministry of external Affairs and he has also served in Syria. He has served in different capacities in the Ministry of External Affairs and the Ministry of Finance (Department of Economic Affairs) in New Delhi. He is deeply interested in innovation in science and cutting edge technologies and particularly in its application to improve the lives of millions of underprivileged in developing countries. Developments in the fields of green energy, health and education that could provide cost effective access to improve the quality of life of the underprivileged attract him. ‘The Reluctant Assassin’, a fictional thriller, published in Delhi, in January 2005; – the story reflects the lives of people whose families are divided between India and Pakistan. It highlights the cultural aspects of the societies and inevitability of circumstances. “The Legend of Ayodhya Princess in Korea”, a fictional novel linking the ancient history of India and Korea. The latter was translated in the Korean language as ‘Bi Dan Hwang Hoo’ (Silk Empress) and published in Seoul in June 2007 and later The National book Trust published a children’s book based on this novel. He is married to Mrs.Geeta Parthasarathi. She is a qualified teacher and a law graduate. She taught in schools including in an American school. She has been involved in organizing major cultural events, book groups and a number of charity fundraisers.